Metano is a trusted, full-service provider of IBC tote tanks, with clients across the country who count on our stainless-steel tanks and other containers to meet their liquid packaging needs. Our polyethylene composite IBCs are composed of an inner container extrusion blow molded from high-density polyethylene and an outer container made of rigid welded galvanized tubular steel grid. 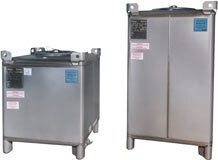 Intermediate bulk containers, also known as IBC tote tanks, are useful for storing and transporting commercial and regulated liquids. Their durability and stackable design make them a reliable and cost-effective solution for shipping liquids. 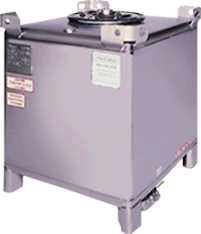 We offer stainless-steel, poly-composite, and poly tanks in a variety of sizes. Our stainless-steel IBC tote tanks range from 180 to 550 gallons, while the most commonly requested sizes are 350 and 550 gallons. Our poly-composite and poly IBC tote tanks are offered in the standard capacity of 275 gallons. Contact us today for more information regarding our IBC container product line.